The Southwest of Tasmania is saturated with raw, inspiring natural beauty making it an ideal setting for adventure enthusiasts, creative souls and individuals searching for a weekend away. Whether you are looking to capture photos, relax with a glass of wine, indulge in local cuisine or bush-walk through calming forests, Pedder Wilderness Lodge is the location for you. On site activities include, but are not limited to: hiking, fishing, kayaking, photography, reading, and bird watching. We are also in close proximity to the historic Gordon Dam, which offers the largest commercial abseil in the world (courtesy of Aardvark Adventures), scenic guided kayak tours with TassieBound; a short drive to Ted’s beach and many nearby bushwalking trails that weave through the untouched Southwest National Park/ World Heritage Area. The rugged Southwest has been described as home to some of the most unique, gnarly, remote bushwalking in all of Australia. Abseiling the Gordon Dam has been included in the Top 10 Adrenaline activities in the world today. Just 15 minutes from Pedder Wilderness Lodge is the Gordon Dam. 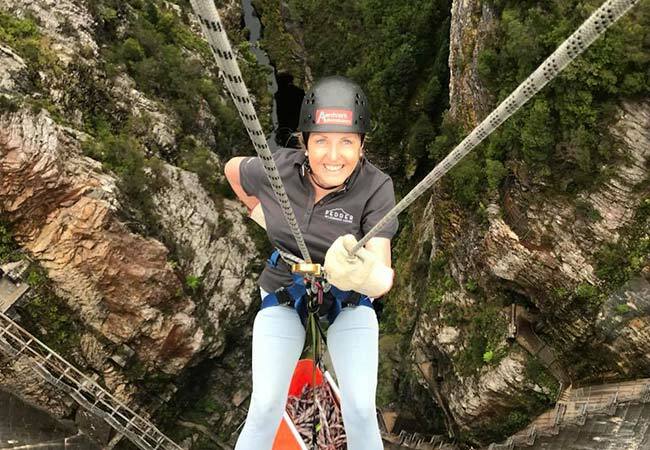 Aardvark Adventures, which is Tasmania’s premier adventure company with over 30 years’ experience in adventure tourism, runs abseils down the dam wall. 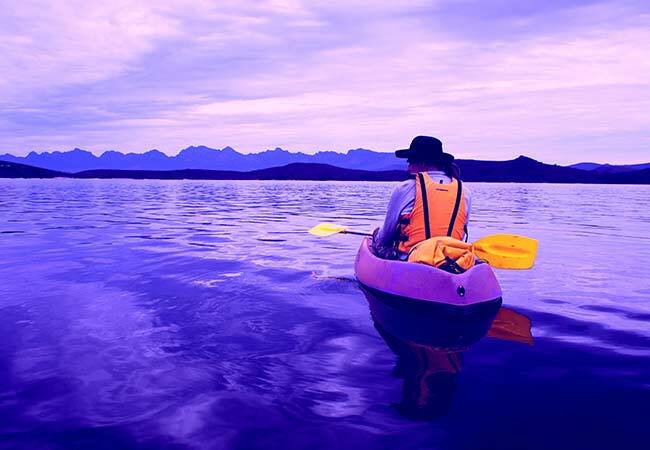 There is no better way of accessing the dozens of islands, plentiful quartzite beaches; all while appreciating the magnificent Frankland Mountain Range, than by kayak. There is no better way of accessing the dozens of islands, plentiful quartzite beaches; all while appreciating the magnificent Frankland Mountain Range, than by kayak. This is a premium opportunity for amateurs, enthusiasts or entire families to get out on the water and enjoy a brilliant morning or afternoon. 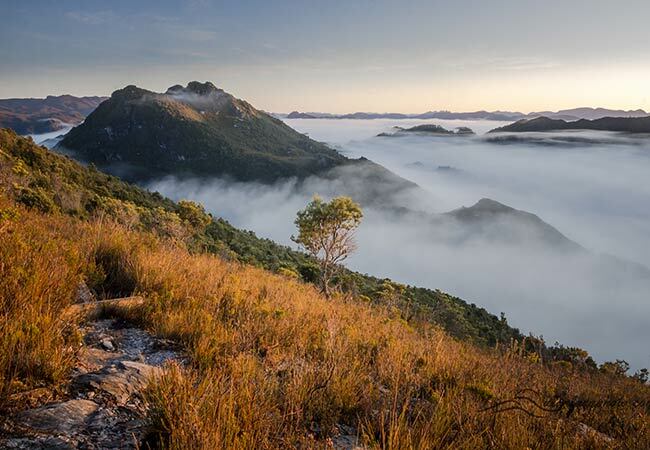 Immerse yourself in the pristine environment of Lake Pedder and Lake Gordon waterways. 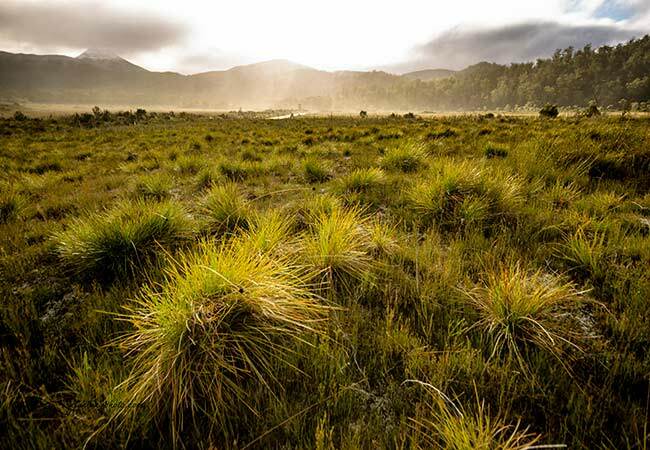 Lake Pedder, known for its Brown Trout is one of Tasmania's top lakes to catch the prize fish. Lake Pedder, known for its Brown Trout is one of Tasmania's top lakes to catch the prize fish. 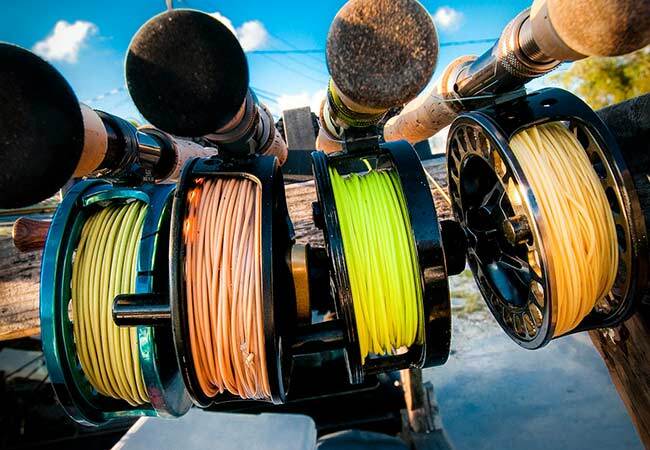 There are many proven methods of success on Lake with anglers coming from far and wide. Lake Pedder has several MAST certified boat ramps and lake access including Scotts Peak, Edgar Dam, Mcpartlan Pass, Teds Beach and Pedder Wilderness Lodge at Strathgordon. Ancient mountains, endless reflections, Pink Quartzite beaches, the photo opportunities never end in the Southwest National Park. 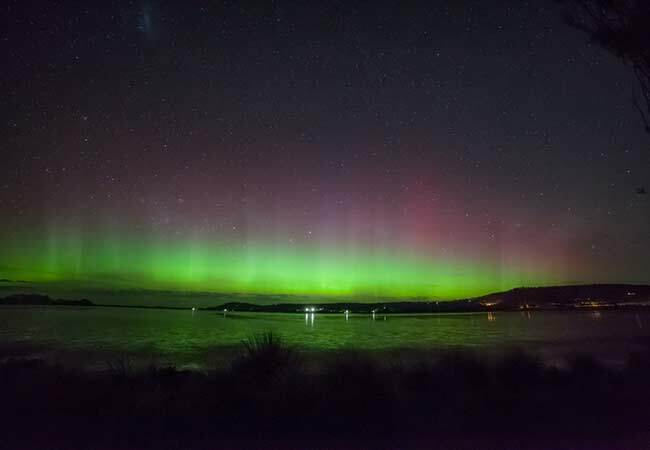 Pedder Wilderness Lodge is one of the best places in the world to view the aurora australis. 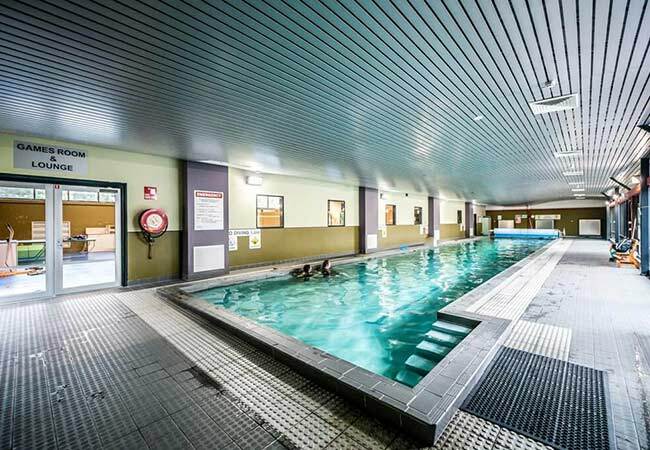 Our indoor, workout facilities include a 30-meter, heated swimming pool, badminton court, Ping-Pong table, fitness equipment and change rooms.